La ligne de chemin de fer de Semmering, construite entre 1848 et 1854 pour permettre de traverser 41 km de hautes montagnes, compte parmi les grandes prouesses de génie civil dans les premiers temps de la construction ferroviaire. Du fait de la qualité de ses tunnels, viaducs et autres ouvrages, la ligne est demeurée en service de manière ininterrompue jusqu’à nos jours. Elle traverse un paysage montagneux spectaculaire, où de nombreux édifices de qualité destinés aux loisirs ont pu être construits grâce à l’ouverture de la région avec l’arrivée du chemin de fer. تُعتبر سكة الحديد في سيمرنغ، التي شيّدت بين 1848 و 1854 لتسمح بعبور 41 كيلومتراً من الجبال العالية، من أهم الإنجازات في الهندسة الحضرية في أوائل أيام سكك الحديد. وبفضل جودة أنفاقها وممراتها والأعمال الأخرى، بقي الخط شغالاً بلا انقطاع حتى الآن. وتعبر سكة الحديد هذه المناطق الجبلية البديعة حيث ترتفع مبانٍ عديدة عالية النوعية مخصصة للترفيه وقد تمّ بناؤها بفضل انفتاح المنطقة الناتج عن وصول سكة الحديد اليها. Железная дорога Земмеринг, протяженностью более 41 км, построенная в высокогорной местности в 1848-1854 гг., является одним из выдающихся достижений гражданской инженерии начальной стадии железнодорожного строительства в мире. Высокое качество туннелей, виадуков и других сооружений обеспечило длительное использование линии вплоть до настоящего времени. Железная дорога проходит через живописный горный район, что обусловило развитие вдоль дороги инфраструктуры для отдыха. Construida entre 1848 y 1854 a lo largo de 41 kilómetros de terreno montañoso, la lí­nea ferroviaria de Semmering representa una de las mayores proezas de la ingenierí­a civil en los primeros tiempos de la construcción de ví­as férreas. Debido a la solidez de sus túneles, viaductos y otras obras de ingenierí­a, la lí­nea se ha seguido utilizando sin interrupción hasta nuestros dí­as. El ferrocarril atraviesa un espectacular paisaje montañoso, donde se han podido construir numerosos edificios de gran calidad arquitectónica destinados a actividades recreativas, desde que la región quedó comunicada gracias a este medio de transporte. De Semmering-spoorlijn werd tussen 1848 en 1854 gebouwd en loopt over 41 km van hoge bergen. De spoorweg is een van de grootste prestaties op het gebied van civiele techniek uit de pioniersfase van de spoorwegbouw. De hoge standaard waaraan de tunnels, viaducten en andere werken moesten voldoen, heeft ervoor gezorgd dat de spoorweg continue in gebruik is geweest en nog steeds is. De Semmering-spoorlijn gaat door een spectaculair berglandschap. Door de spoorweg werden de prachtige natuurgebieden gemakkelijk toegankelijk en konden woon- en recreatiegebieden worden ontwikkeld. Met het ontstaan van het spoor ontstond dus een nieuwe vorm van cultureel landschap. The Semmering Railway, constructed between 1848 and 1854 over 41 km of high mountains, is one of the greatest feats of civil engineering during the pioneering phase of railway building. Set against a spectacular mountain landscape, the railway line remains in use today thanks to the quality of its tunnels, viaducts, and other works, and has led to the construction of many recreational buildings along its tracks. The property Semmering Railway begins at Gloggnitz station, at an altitude of 436 m, reaches its highest point after 29 km over the pass at 895 m above sea level, and ends 12 km further away at the Mürzzuschlag station, 677 m above sea level. The line can be divided into four sections. The first runs from Gloggnitz to Payerbach stations, following the left-hand slopes of the Schwarza valley; the next section crosses the valley by taking the Schwarza viaduct to reach Eichberg Station, and the third section enters the Auerbach valley to continue through dense forest to Klamm-Schottwien station. After passing through the Klamm Tunnel, it reaches the Adlitzgraben and the Alpine terrain itself. After a series of tunnels and viaducts, the trains pass through the Weinzettelwand, the Krauselklause, and the Polleroswand, taking several tunnel sections. In the last and most dramatic section of the whole route, the two-storey curving viaduct goes over the Kalte Rinne, and after passing through the Wolfsberg and the Kartnerkogels, the train passes through the 1,431 m Semmering Tunnel before reaching Semmering station. It then descends gradually along the right-hand slope of the Roschnitz valley, through Stienhaus and Spital am Semmering, before arriving at Mürzzuschlag. In total, the fourteen tunnels are 1,477 m long, nearly one-tenth of the entire line; coincidentally, the sixteen major viaducts also total 1,477 m in length. There are 118 smaller arched stone bridges and 11 iron bridges. Most of the portals of the tunnels are simple but monumental in design, and feature various kinds of ornamentations. Support structures are largely in stone, but brick was used for the arches of the viaducts and tunnel facings. The 57 two-storey attendants' houses, located at approximately 700 m intervals, are a very characteristic feature of the Semmering line and were built from coursed rubble masonry with brick trimmings. Little remains of the original stations, which were planned as no more than relay stations and watering points, but later became converted into more impressive structures as tourist traffic increased. The appearance of the whole line changed significantly between 1957 and 1959, when electrical poles were erected to carry the contact wires required by electrical locomotives. The Semmering pass itself is well known for the 'summer architecture' of the villas and hotels, as it became one of the first purpose-built Alpine resorts in the decades following the opening of the railway line. Criterion (ii): The Semmering Railway represents an outstanding technological solution to a major physical problem in the construction of early railways. Criterion (iv): With the construction of the Semmering Railway, areas of great natural beauty became more easily accessible and as a result these were developed for residential as well recreational use, creating a new form of landscape. The inscribed property covers an area of 156 ha, with a buffer zone of 8,581 ha, and includes all attributes necessary to convey its Outstanding Universal Value. The railway line itself and the civil engineering works have been continuously in function since 1854, and the property’s functional integrity has therefore been maintained. The continued operation of the line is a sound testimony to the engineering genius of Carl von Ghega, the project engineer. The property also derives its appearance from the villas and hotels constructed in its immediate vicinity in the late 19th and early 20th centuries, showing the impact of the railway line on the surrounding landscape. The turn-of-the-century architecture, harmoniously inserted into a rugged Alpine landscape, has also retained its integrity. The authenticity of the route itself and of the remarkable civil engineering works that made this project possible is unquestionable. Although the appearance of the line has changed, especially since its electrification in the 1950s, the overall impact of the line on the landscape remains authentic. Given that the railway line has been in use continuously since its opening in 1854, specific items have worn out and been replaced, and methods for organising and operating railway lines have adapted to changing circumstances. However, since railways are by nature evolving socio-technical systems, continuity through change is an essential part of their identity, and these principles have been applied to preserve the property’s authenticity. Management takes place at national, regional and local levels, and the property has revised and approved a detailed zoning plan that includes its buffer zone. It is protected at the Federal level since 1923 (Austrian Monument Protection Act, Federal Law Gazette No. 533/1923 and subsequent amendments). 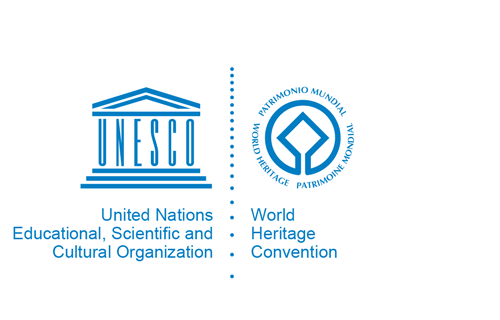 The property is also regulated by the “Convention Concerning the Protection of the World Cultural and Natural Heritage including the Austrian Declaration” (Federal Law Gazette No. 60/1993). The surrounding landscape is protected at provincial level and forms part of the Biosphere Reserve designation. A number of other specific laws regarding specific matters (such as water management and forest protection) also are in force. In addition, the property itself is managed by the Austrian Federal Railway Company, advised by an expert on railway preservation. Supervision and advice are provided by experts of the Federal Office for Protection of Historical Monuments. Funds are available from the Federal State of Austria as well as from the Provinces of Lower Austria and Styria. A management plan has been in place since 2008. It has advisory status and plays a strategic role in guiding the decision-making processes, and it must be seen as a work in progress which requires systematic evaluation and review. Control and monitoring functions are also exerted through democratic participation of the public.